Betty Padgett was born in Newport, New Jersey and her family moved to Florida when she was in the 6th grade. She sang in her church choir and began to take performing seriously after graduating from high school. While checking out the bubbling local music scene at venues like The Double Decker and Tedie Green, Padgett became particularly keen with the group called Joey Gilmore and the T.C. B. (Taking Care of Business) Express. In 1971 she auditioned with Gilmore and ended up, not only securing the position, but singing with the band for the next 17 years. After a gig at the Elks Club in Ft. Lauderdale, Padgett was approached by soul legend Milton Wright (responsible for the rare groove classics “Keep It Up” and “You Don’t Even Know Me.”) Blown away by her vocal skills and stage presence Wright wasted no time. Within a month she was co-writing and arranging with Wright (check his unmistakable influence on “Gypsy of Love”), Wally Joest, and a cast of musicians she had just met. The entire album was recorded in one evening at Criteria Studios in Miami. Padgett vividly remembers listening to the demo on the drive home from the studio around 3am. It was pouring down rain and she was so excited from having recorded her first record at age 21 that she lost control of her car on the slick streets and nearly crashed! A 12” disco single of “Sugar Daddy” was pressed up in support of the LP and it created quite a buzz (despite her name being misspelled on the cover and labels.) Padgett remembers a local Pepsi Cola TV & radio advert featured the music. The commercial was apparently filmed on the Ft Lauderdale beachfront and included Navy Sailors in uniform that just happened to be docked nearby. Padgett danced up to a vending machine that was parked in the sand, slapped it, and received a glass bottle of soda. 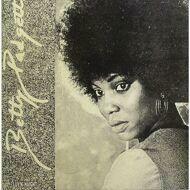 After the success of “Sugar Daddy,” Padgett and her band were whisked off to Belize for live dates. After landing at the Belize airport, she was picked up in a taxi and the commercial played on the radio in the cab. While Padgett never quite topped the heights of “Sugar Daddy,” she boasts a great musical resume and continues to perform and record. She has performed and shared the stage with Little Beaver, Gwen & George McCrae, K.C. & The Sunshine Band, Latimore, Jimmy Bo Horne, Jackie Moore, Joe Tex, Denise LaSalle, The Impressions, Bobby Bland, Joe Simon and ZZ Hill.